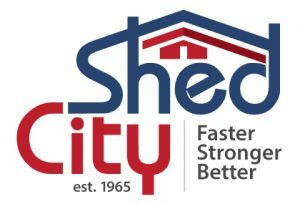 The Shed City Skillion Roof Carports are Fully Structural Engineered Kits and have the Added Strength and Versatility of the Fully Bolted Frame, Low Maintenance 5 Rib Roofing (allowing a 2 degree slope) & Superior Flashings in a Huge choice of Colours. Shed City’s Skillion Roof Carports with “C” SectionBeams, 75mmSquare Tube Posts and a minimum Wall Height of 2.5m (8’3”) (optional heights of up 3.6m avail.) gives Greater coverage for your car, caravan or boat or provides an ideal alfresco outdoor entertainment area. 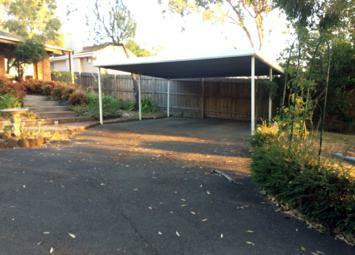 Shed City have a great range of Skillion Roof Carports Kits with both Standard or Cantilevered Roof Designed to maximize your ease of entry or to line posts up with existing structures. 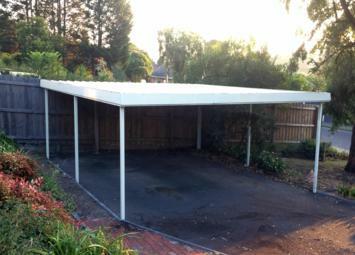 Due to our custom making your bespoke Skillion Roof Carports will provide wonderful clearance with eave heights up to 3.6m and post location to suit your needs. With the use of our exclusive in-house rollformed 5 Rib (2 degree slope) or 4 Rib (1 degree slope) your carport will be less intrusive therefore less likely to conflict with existing angles at your property providing a more satisfying and visually appealing look. For those requiring eave heights above 3.6m, Our versatile Skillion Garage or Gable Garage are simply adapted to have some open walls or openings to suit you. Whether near the house to create a great outdoors area or alfresco, in the paddock to create shade or to cover your valuable assets, these versatile DIY designed Kits come complete with all Components and fittings, ready for installation by the home handyman or builder alike.